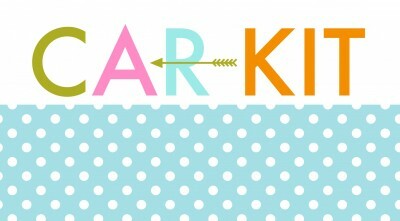 How to put together a summer car kit...perfect for families! Already the sunscreen and bug spray have come out of hibernation, and plans are being made to enjoy every single minute of the summer. We’re on the go a lot during the summer months, whether it’s a road trip, or just around town. It means a lot of parks and outdoor activities and FUN! With all that fun comes the inevitable, and odds are, I’m going to need something out of the summer car kit that I keep in my trunk. Preparedness is key! I change it up a bit for each season, and today I’m sharing the summer version, plus a super cute free printable. Yep. If you’ve got kids, you know that bugs, sun, scrapes, bee stings, dirty diapers, wet clothes, mud, accidents, emergency potty stops along the side of the road (or in the woods), and a myriad of other things are bound to happen at some point during the summer months, and I’m always so happy when I can go to the trunk and pull out what I need to take care of it. Or at least help the situation until we get home! But whether or not you have kids at home, most of these items come in handy for everyone! 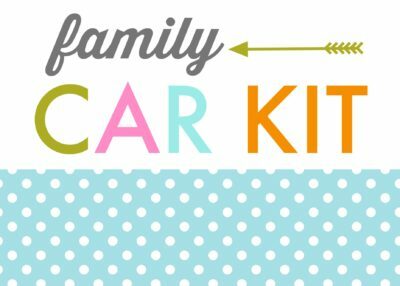 SUMMER CAR KIT FOR FAMILIES…AND EVERYONE! A summer car kit is easy to put together, and once it’s done, it just stays in the back of your trunk of vehicle. Replace items as you use them up, and you’ll always be prepared. I also really like having it all in one place, in a plastic tote that I know I can go to and find what I’m looking for. I just gathered all of the items below, along with a plastic tote that would fit everything on my list, and fit in the cargo space of my trunk. I went for a taller, thinner bin because It took up less space overall, but you can buy whatever fits best with your vehicle. Baby powder–removes sand like magic! First aid kit: I always include items for bee stings! I also have a few survival items that I always have in the car, but I don’t keep all of them in this bin. We happen to have a compartment in the back of our truck that’s perfect for holding jumper cables and other emergency items, so I keep pretty much all of the following items there, except for the food and bottled water. If you want to keep it all together you may need to get a slightly larger plastic tote, and I would put the survival items on the bottom–you’re likely to use them much less than the summer items like baby wipes and grocery sacks. If you don’t want to gather all of these items, you can also purchase emergency car kits that come in a bag that’s easy to store. 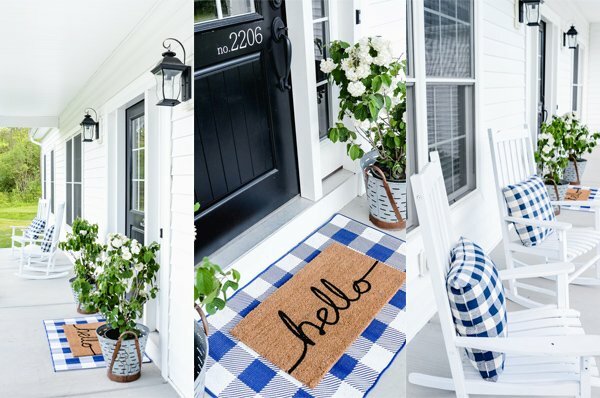 Emergency blankets--yes, even in the summer! There’s been some controversy about whether or not keeping bottled water in your car is safe. After a lot of research, I feel comfortable keeping it in my car, I just rotate it frequently. I would rather carry water in the hot summer than not. You can do your own research and decide for yourself what you want to do! If you’d like to download the printable for your own summer car kit, just click on the link below, and print. I print on full sheet 8.5 x 11 white labels, then cut it down to size with scissors or a paper trimmer. Stick it right on the outside of your tote, and you’re good to go! Here’s to a happy, prepared, and safe summer! DIY Tetherball Set…for half the cost! I love your website so much! I check it almost daily….okay daily! ;) You are so organized and so prepared. I love it! You inspire me! Thanks for always sharing. You are quite the talented lady. Where did you get your plastic bin? I got it at Walmart! This is my first time here, thanks to Pinterest. :) I love this post. Great ideas! Thank you! I love all the ideas. I’m going to add some of your suggestions to our box. Love this! We keep a box like this in our car year round. I would advise against keeping the sunscreen in the car though. It breaks down when stored in such high temps and won’t be effective. Best to keep that one in your bag/purse. Thanks for the tip, Leigh! We go through it so fast (like in less than a week), so hopefully it wouldn’t go bad in that space of time. I carry it in my bag too, because I always need it!!! Great ideas! These kits are helpful even when the kids are grown and gone. My Handsome Hubby and I like to take impromptu trips to the beach, park, or wherever. Having a stash of emergency and not-quite emergency basics keeps us enjoying our time without having to head back home because of a minor accident or spill. I like to keep the sample packets of laundry soap, body wash, lotions, shampoo, conditioners, and other toiletries in a small container. I jokingly call it being prepared for the zombie apocalypse, but if there’s a hurricane or other disaster, I don’t have to look for anything. We can just go. This is so adorable, and it would have come in so handy when my 4 kids were little! I wanted to add something to your box, especially for the summer, although I keep on in my car year round… that is a BEACH TOWEL. You never know when you’ll get an unexpected rain storm or just feel the need to run thru someone’s sprinkler! And my dog seems to use it the most. Just a thought… thanks for sharing! I always include an old white shirt as well. Great ideas, thanks! I have one of these it’s my life saver. Many times over. I put mine in a little pack pack because I’m constantly crushing it I broke 3 bins before I swapped to a backpack. But if something happeneds and I need to abandon the car the backpack does make it easier. I have a fold up metal shovel which has helped dig out snow when I was stuck in a ditch once. I keep extra diapers and a swim diaper because some times I’m not as prepared as I think I am. I also have a collapsible water bowl for my dog I have an extra outfit for the baby just incase. I also have a fleece blanket. And I want to add a hoody for everyone but I never remember. I do have another small pack for car stuff and it in there is instant tire. Everyone who can’t/ doesn’t want to change their own tire should have a can in their car. It plugs small leaks and fills 1 tire from flat. And the plug last 24-48 hours. More then enough time to get it to a person who can fix it. I had a few bad experiences with my tires before I found this stuff. I like to be prepared even though my child is grown and on her own, This is an awesome idea and it may come in handy for another family that is not as prepared. Share a little kindness goes a long way. Great list of items! I never thought about adding a tablecloth to our kit. I might have to do that! We’ve used it a bunch–love having it on hand, just in case!